Welcome to the Island Hills Chorus Experience! We are the Dix Hills based chapter of Sweet Adelines International, an active organization of over 25,000 women worldwide who love the barbershop sound and the shimmering harmonies of a cappella music. The Island Hills Chorus is more than an a cappella experience. It is a family of women who love sharing friendship and making great music together. 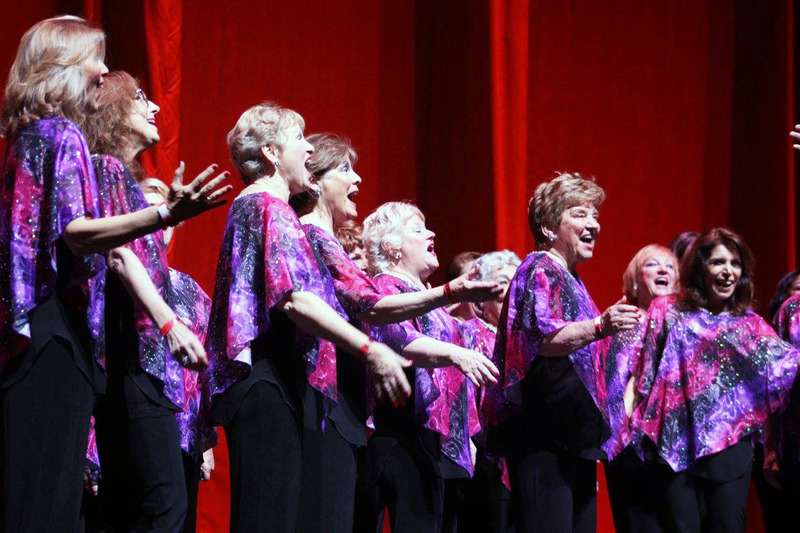 Personal growth,individual fulfillment,and a sense of community are the profits provided through membership in Sweet Adelines. Our members come from all over Long Island; from Montauk Point to Queens, from Eaton's Neck to Sayville - we welcome women from all points and anywhere in between! Come join our award-winning chorus and improve your vocal technique under the guidance of our amazing director Tom Brucia and professional coaches from around the country. Participate in seminars and conferences to learn about vocal technique. Island Hills Chorus and Sweet Adelines International offer countless tools for your personal enrichment. Hone your skills and make new friends! Dix Hills Jewish Center, 555 Vanderbilt Motor Parkway, Dix Hills, New York. 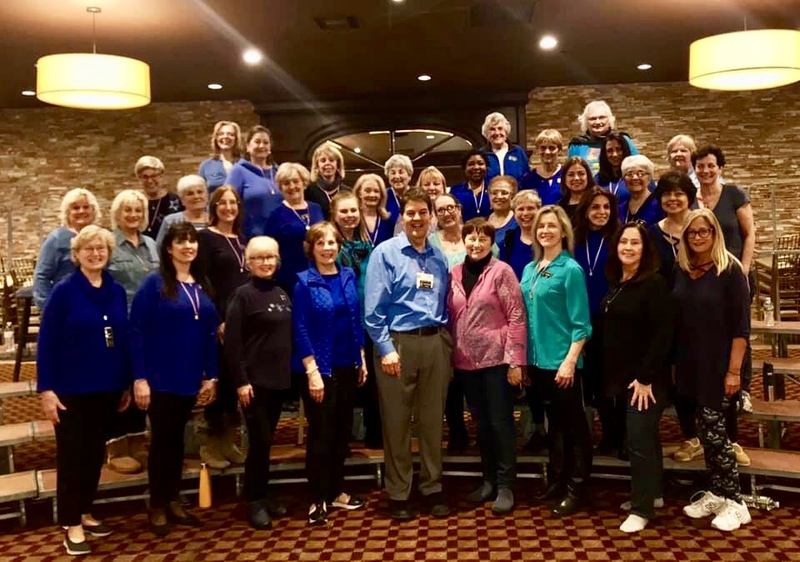 Island Hills Chorus provides its members with expert coaching in preparation for competitions with emphasis on the improvement of the overall vocal quality. Here Master Director and Certified Judge Karen Sweeters appears at a recent rehearsal sharing the sisterhood of song. Join Us at a rehearsal!